925 Sterling Silver Elijah Cup . This design features an extensive hand chasing and engraving on the complete cup. The interior is gilded as shown. 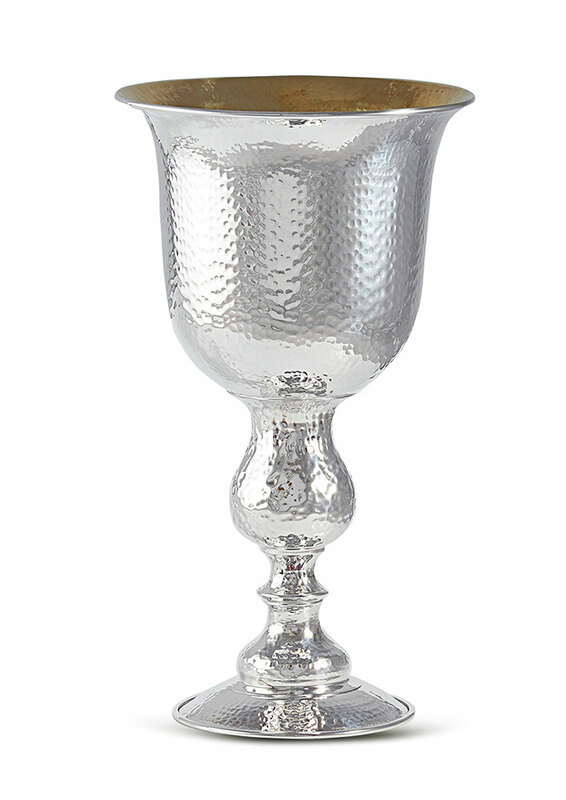 Enhance your Seder table with a conspicuous sterling center piece, it will never run out of style.